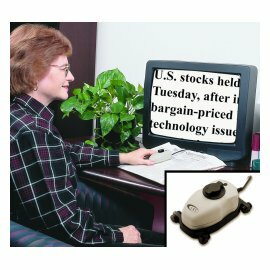 This portable magnifier easily connects to any television to magnify words, pictures and more. Read newspapers, magazines, recipe cards, and even medicine labels with Max. Max is a powerful electronic magnifier designed for people with low vision.